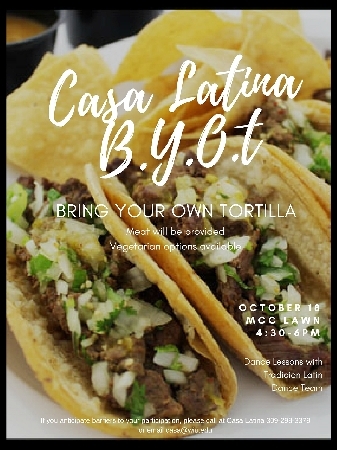 MACOMB IL – Casa Latina at Western Illinois University will host a Bring Your Own Tortilla (BYOT) event from 4:30-6 p.m. Wednesday, Oct. 18 on the lawn of the Multicultural Center. Meat will be provided and vegetarian options will be available. 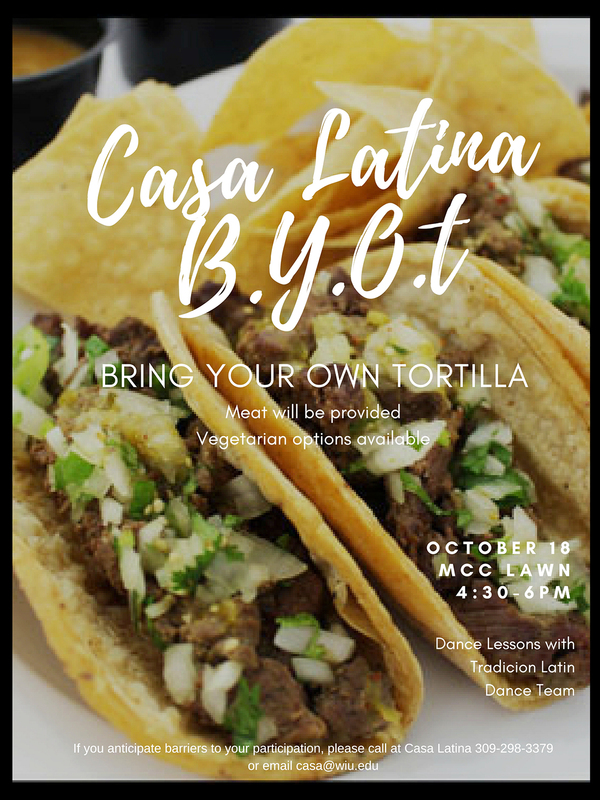 There will also be dance lessons available with the Tradicion Latin Dance Team.